I’m posting from my phone let me know how this looks to you. I’ll be traveling soon and the only electronic. Will be this iPhone. Hope everyone and your beloveds are safe. This entry was posted in Photography, Visions, Weekly Photo Challange. Bookmark the permalink. 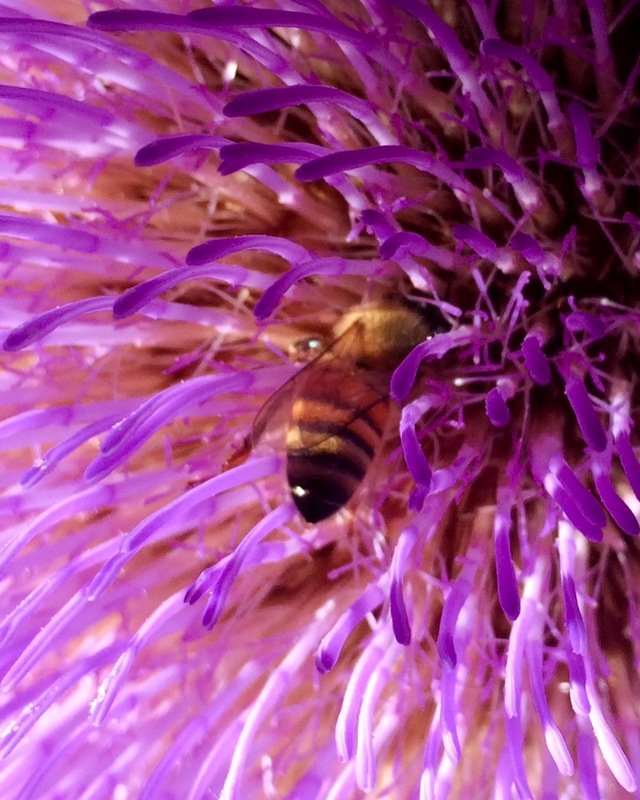 Get macro shots, Carol, and the purple works well with the bee. 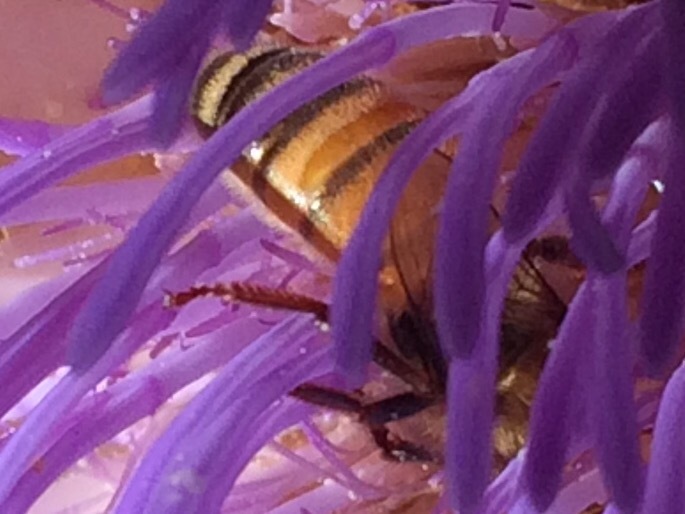 Beautiful color – beautiful bee. It is a funny coincidence that I just found a bumble bee in with my fern in my office. I have no idea how that little critter found her way into my office in the third floor with no windows that open. Anyway, I appreciate your bee. Safe travels to you. How did that bee get up there? I think it was trying to escape the RNC convention! I hope thinks stay safe around you and yours. Thank you! I have my fingers crossed that things will be peaceful. Well done, Carol. Nice macros of Mr. Bee. Glad he was interested in pollen and not me 🙂 thank you.